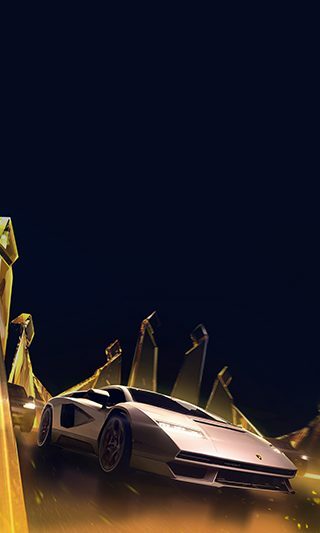 It's time to turn up as Need for Speed No Limits brings you more ways to become underground royalty! Missing a crucial part to push your PR over the line? Need a few more blueprints to stage up your ride? You can now convert your unwanted parts and materials into Scrap, which you can then use to purchase these highly sought-after items. Blueprints for max-stage vehicles will now automatically be converted into scrap. Kelly's Chop Shop can be found on your world map, and is unlocked at level 25. The battle for the Ferrari LaFerrari continues throughout the next six weeks. 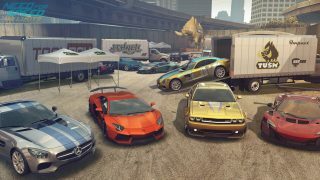 This time around you'll need to tune up your Volkswagen Golf GTI, Porsche 911 (993) Carrera, and Dodge Challenger SRT8 392, and hit the streets over the coming weekends to either unlock or upgrade one of the most sought-after supercars in Blackridge! The Tuner Trials have undergone renovations. Fuel requirements have been reduced to one fuel per ticket. The “Fortuned” Challenge is now available on Tuesday and Thursday in addition to “Titans of Turbo”, and “Wheelman Industries” Challenges. Sundays are now also a free-for-all as we'll be unlocking all challenges for everyone on the day. 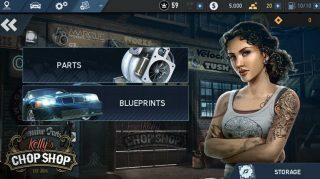 As a little token of our gratitude when you update to the latest version of NFSNL, we'll give you 100,000 in-game Cash plus 100,000 Scrap to use in the Chop Shop! Be sure to follow Need for Speed™ No Limits on Facebook, Twitter and Instagram for the latest news and updates.